I forget to post the final picture, so here it is. In the end I never got back to the construction and my wife finished it while I was at work. 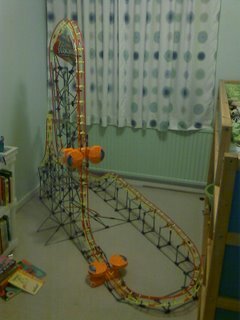 Just in case you still can't tell, it's a roller coaster !